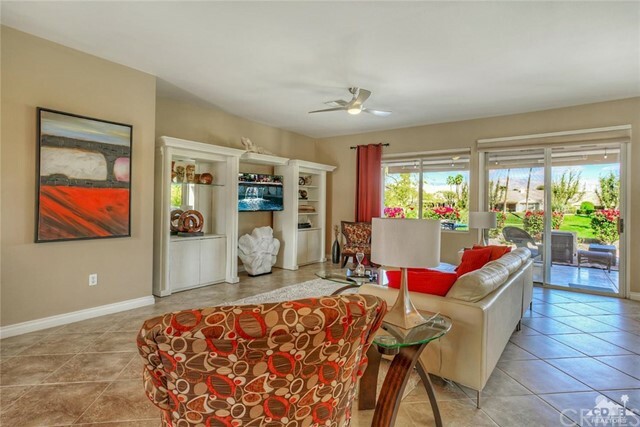 Sun City Palm Desert - St. Croix. 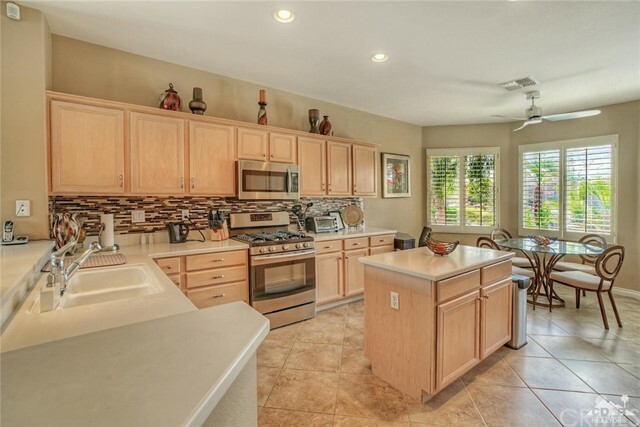 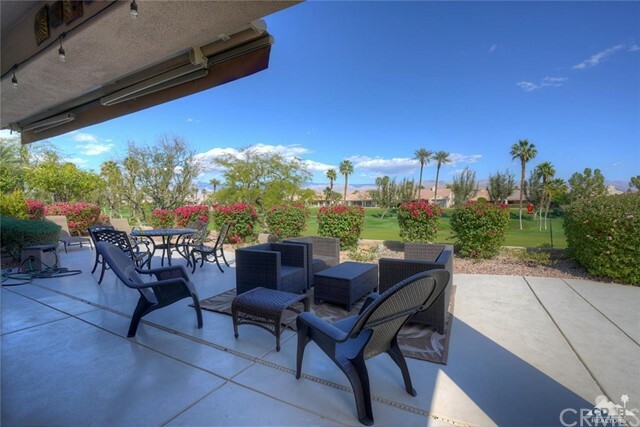 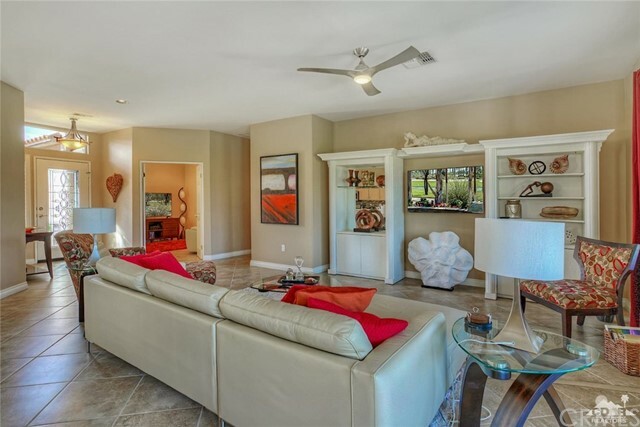 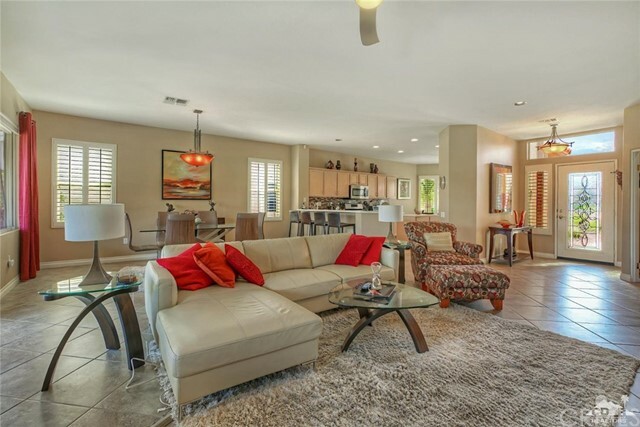 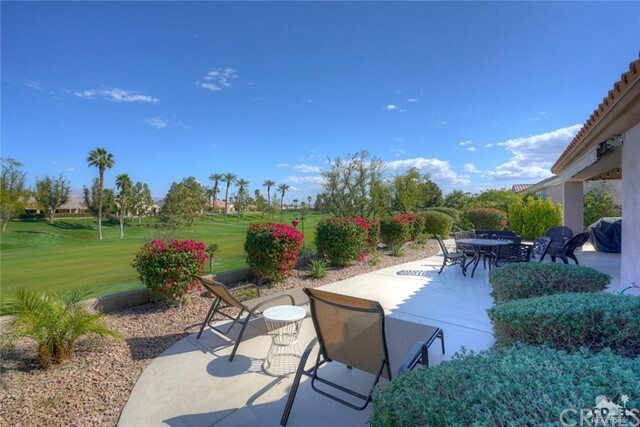 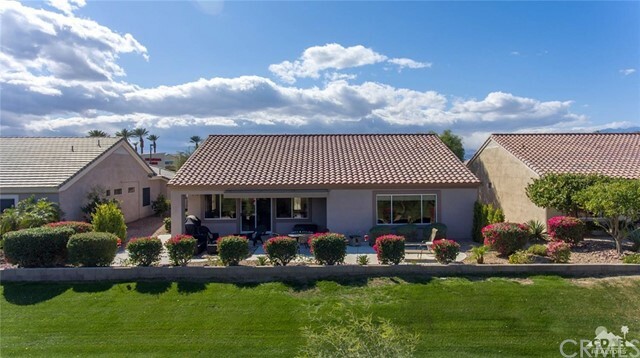 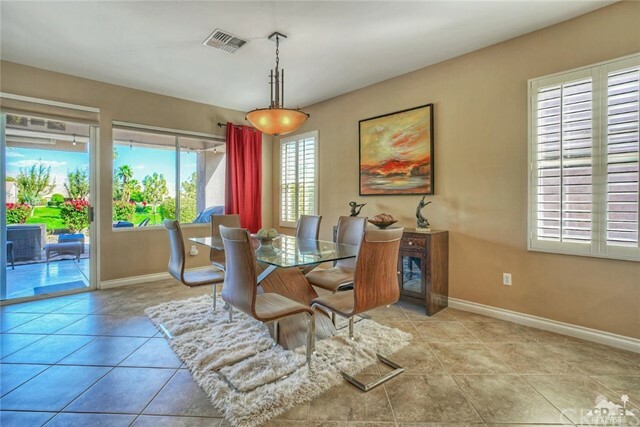 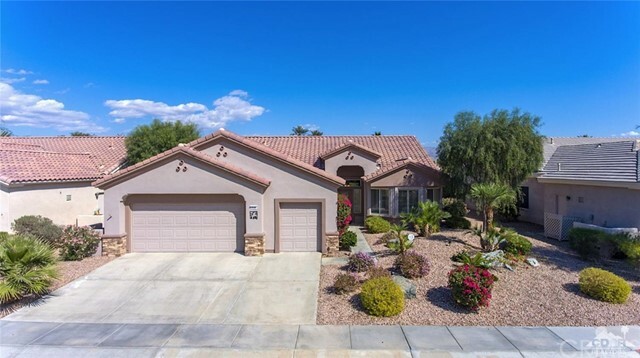 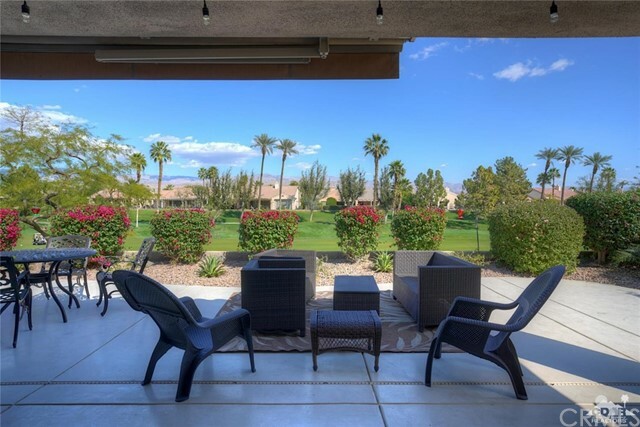 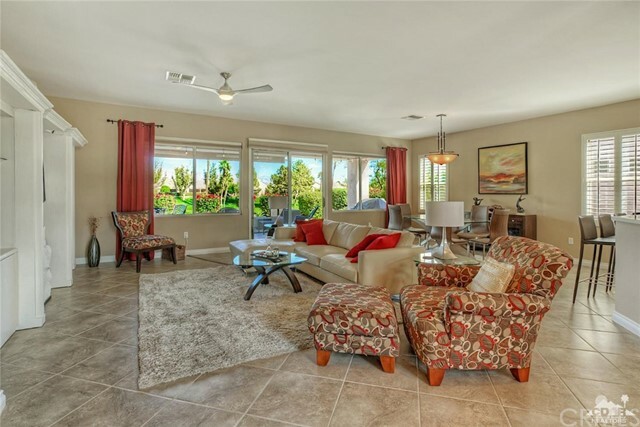 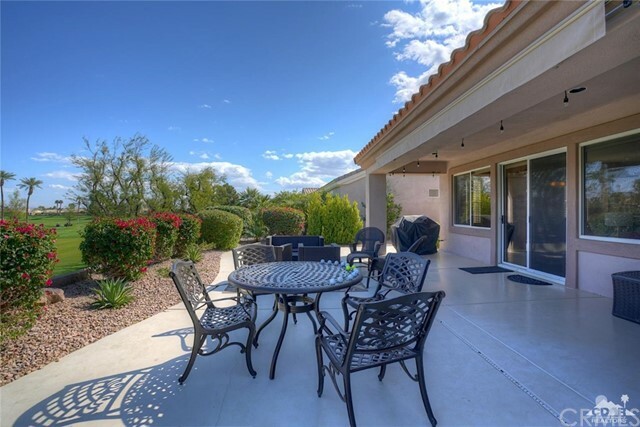 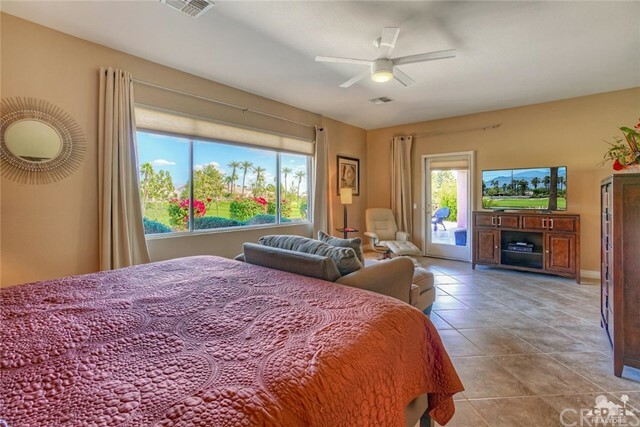 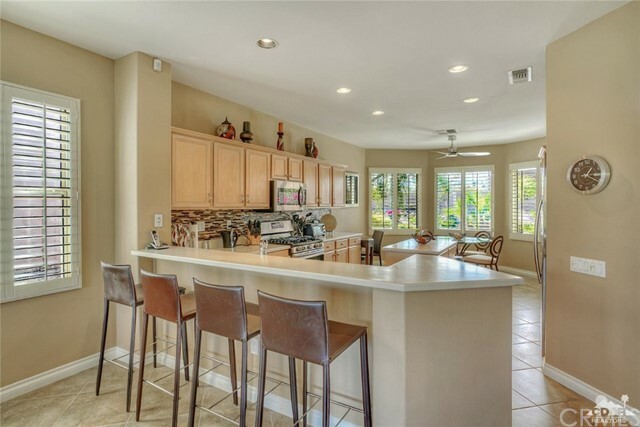 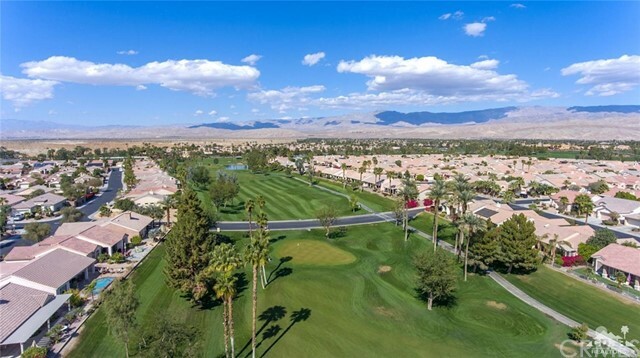 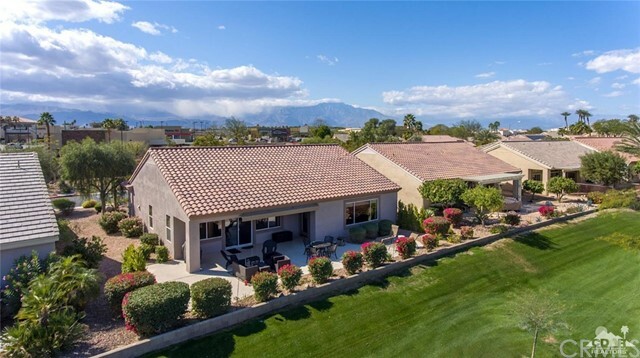 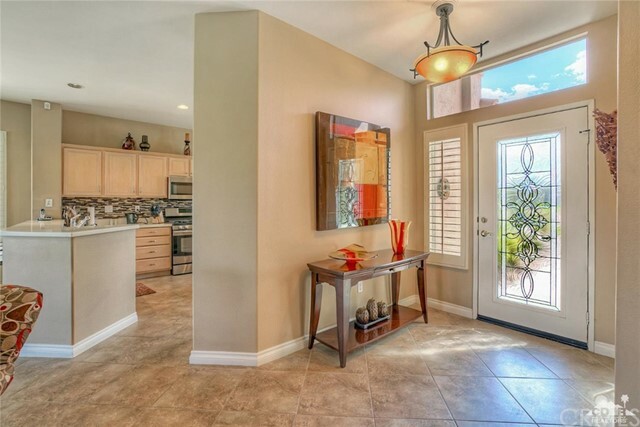 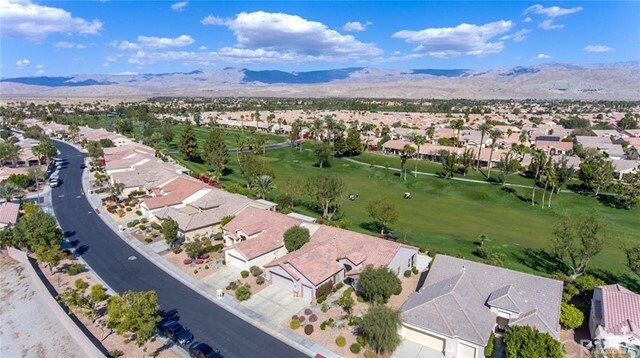 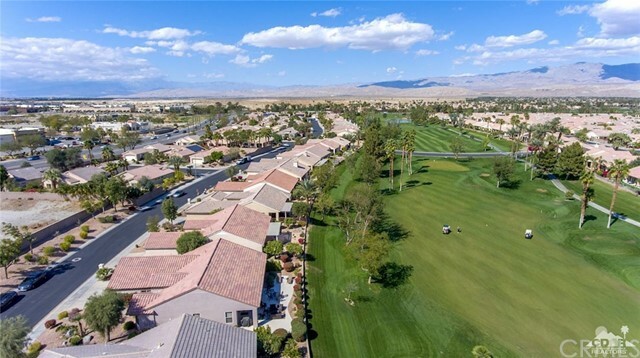 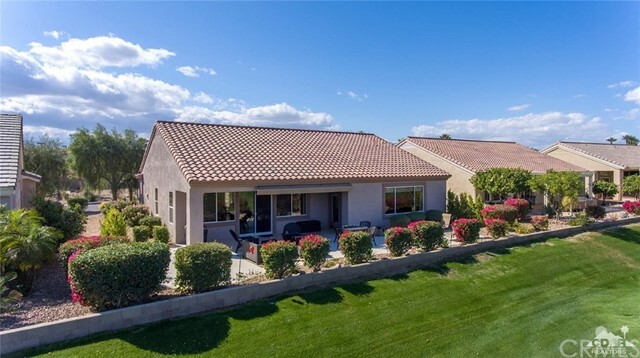 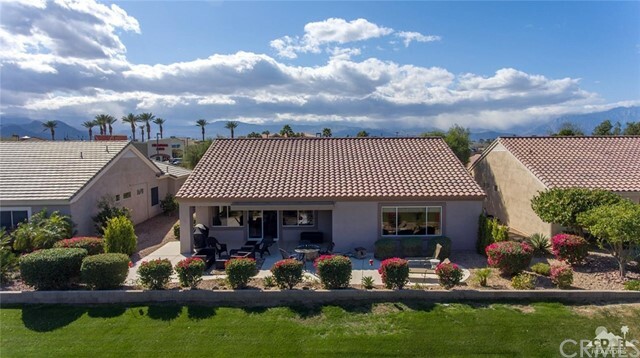 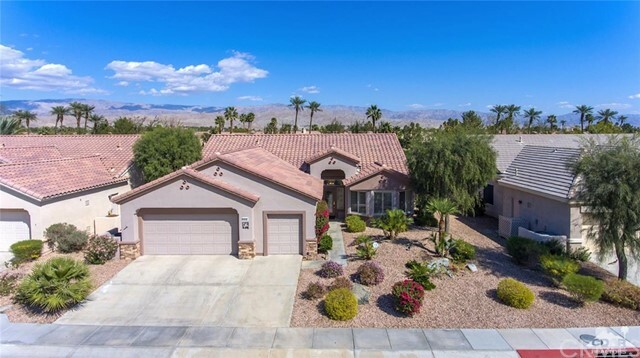 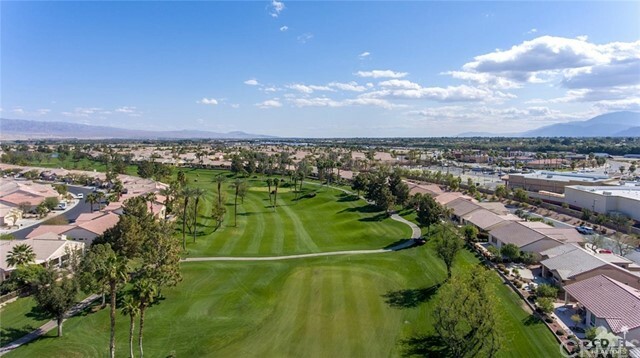 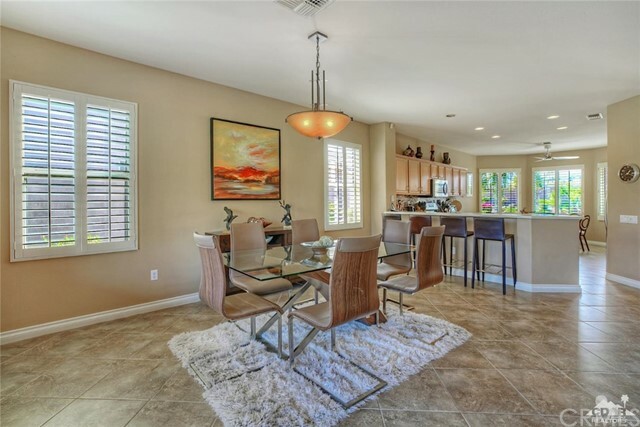 Sitting elevated over the 6th hole on the Santa Rosa golfcourse with panoramic fairway & mountain views, this popular open space greatroom home has a northeast facing rear yard w/spacious patio, desert landscaping & retractable awning. 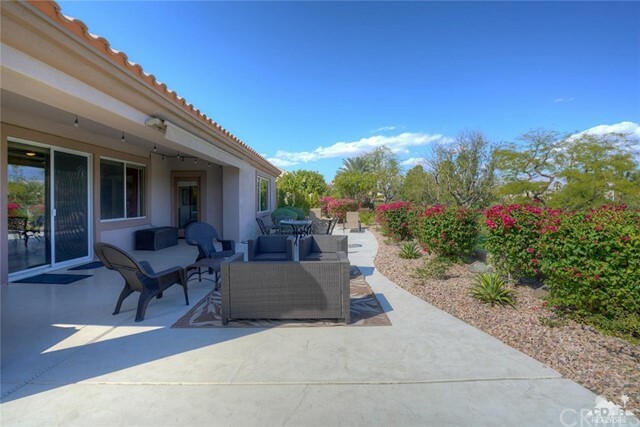 New exterior LED lighting, professionally treated patio surface, & upgraded sprinkling system added. 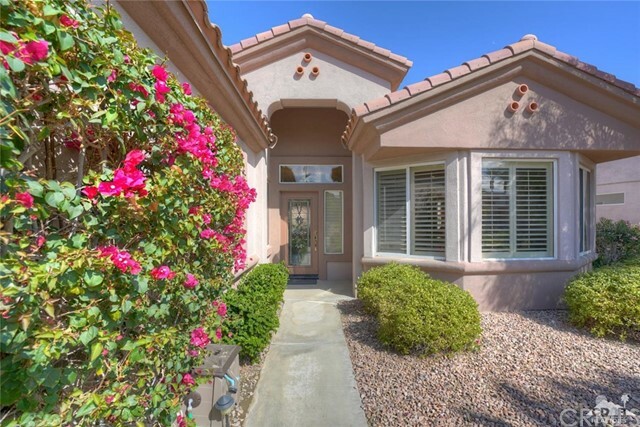 An updated paint scheme, stone accents & leaded glass door provide curb appeal. 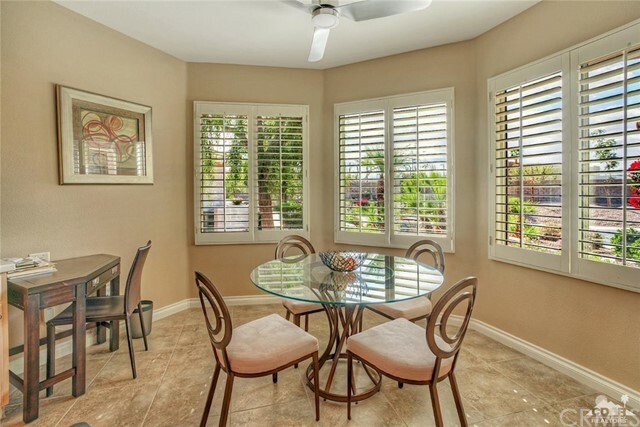 Plantation shutters are on most windows. 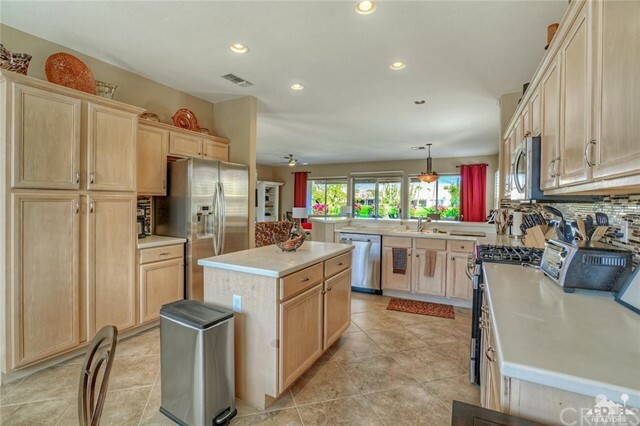 Diagonally laid tile and 4'' baseboards throughout. 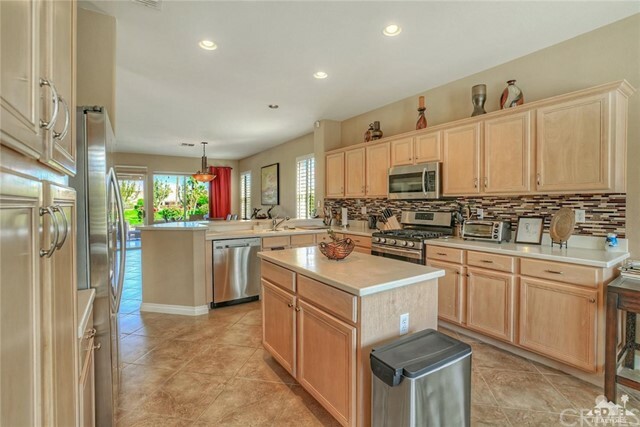 The kitchen has corian counters, glass tile backsplash, a breakfast bar, stainless appliances & recessed lighting. 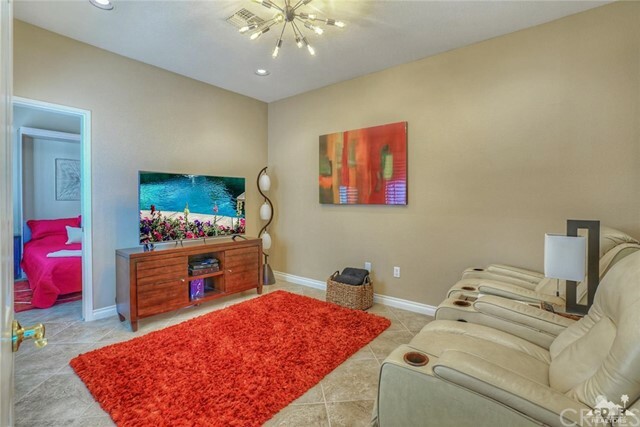 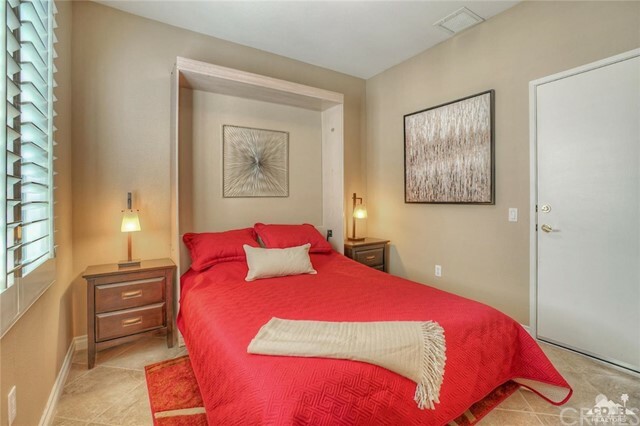 A spacious den is off the greatroom; a pocket door then leads to a room w/murphy bed. 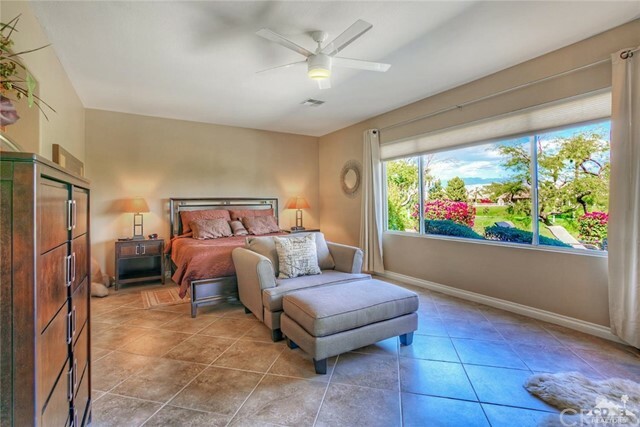 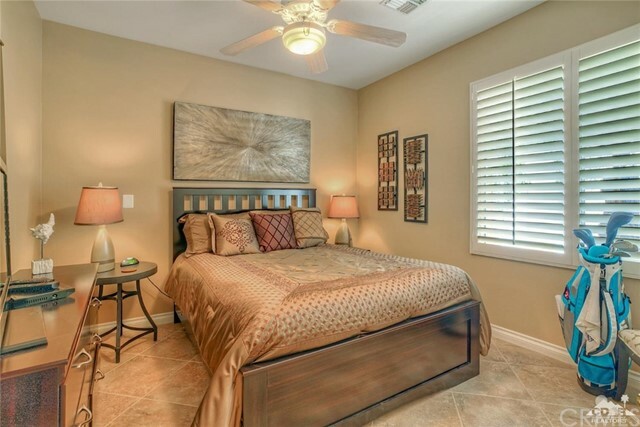 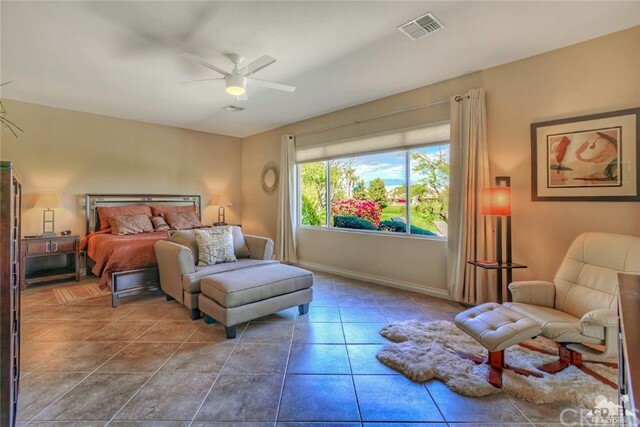 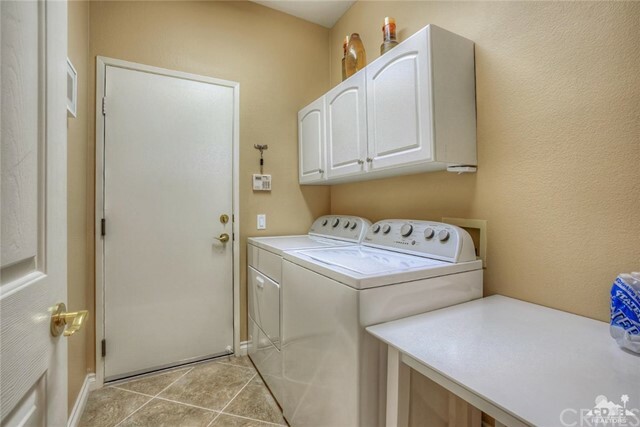 The master suite has a large walkin closet w/builtin storage, with glass door leading to patio. 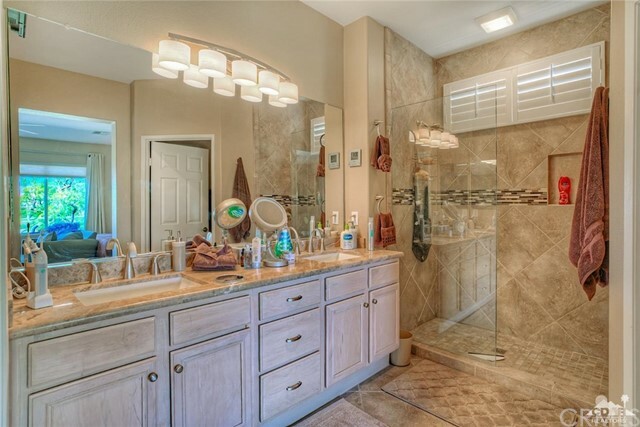 The master bath has dual sinks. 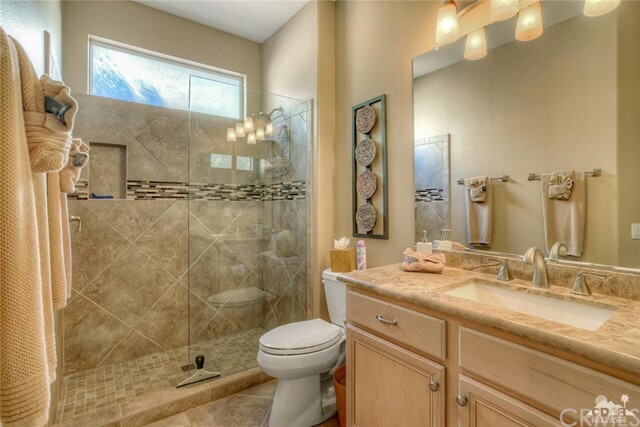 Master & guest bathrooms have marble counters w/bullnose edges, tile shower surrounds w/rimless glass enclosure.